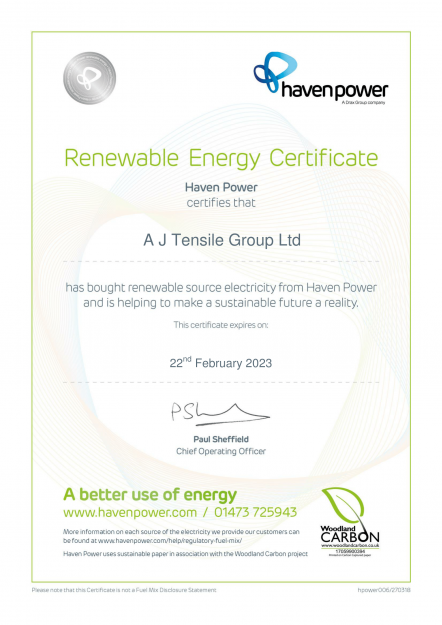 As part of our drive to help achieve a sustainable future, A J Tensile Group Ltd has recently switched to renewable source electricity. Where has summer gone? 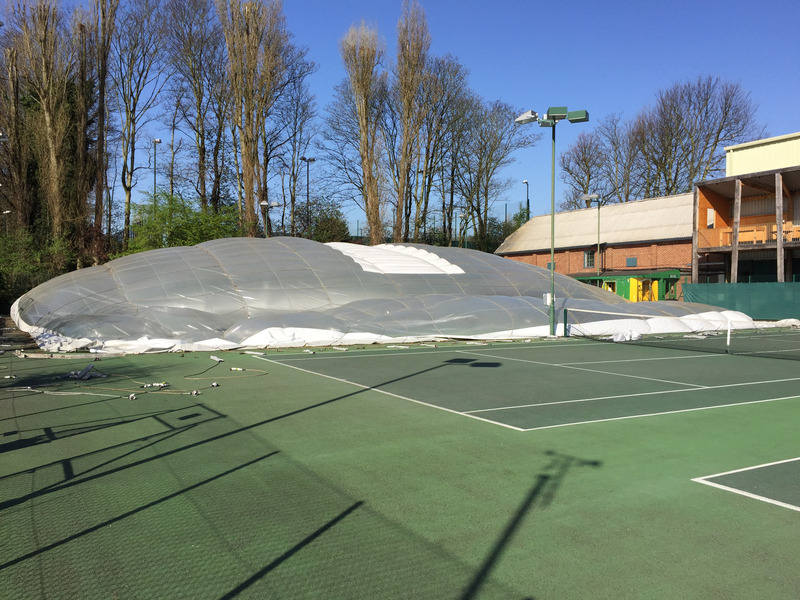 The good news for Coolhurst Lawn Tennis and Squash Club is that play can continue in all weathers throughout the winter thanks to our semi-permanent inflatable tennis dome, recently reinstalled by our dedicated crew. 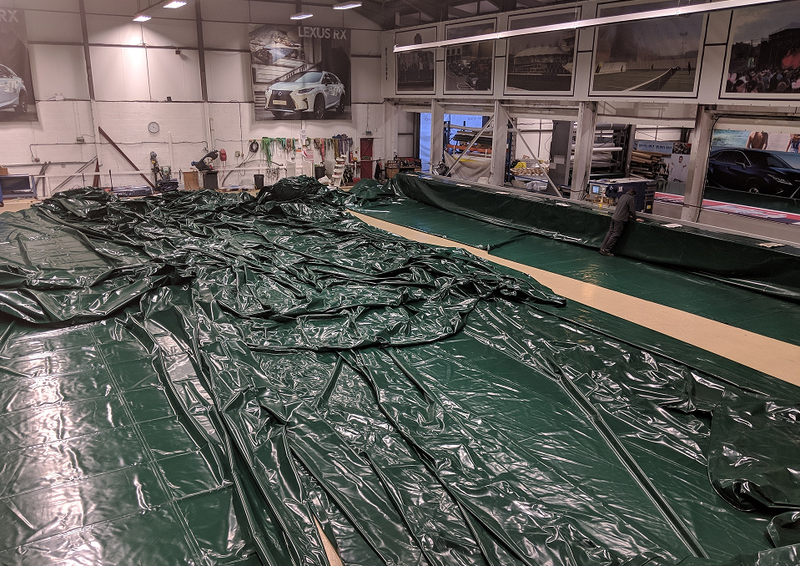 Here is another medium-sized BioShere collaboration between our Biogas and Manufacturing divisions for a European client, undergoing inflation testing at our in-house production facility. 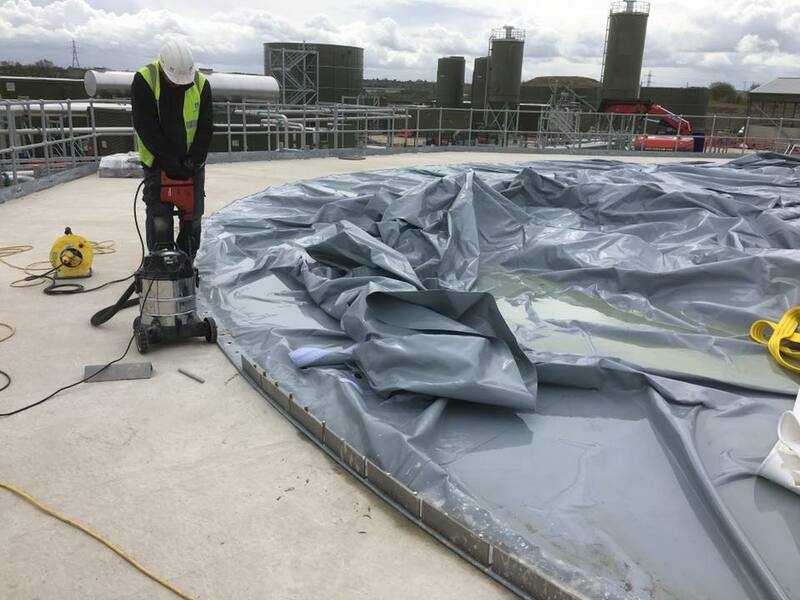 Our Biogas and Manufacturing divisions are currently collaborating on a project for Vale Green Energy, a lagoon cover at Rotherdale Farm in Pershore, Worcestershire. The dimensions of the cover are 59.8m long by 35.8m wide, and capacity is 9,555 cubic metres. 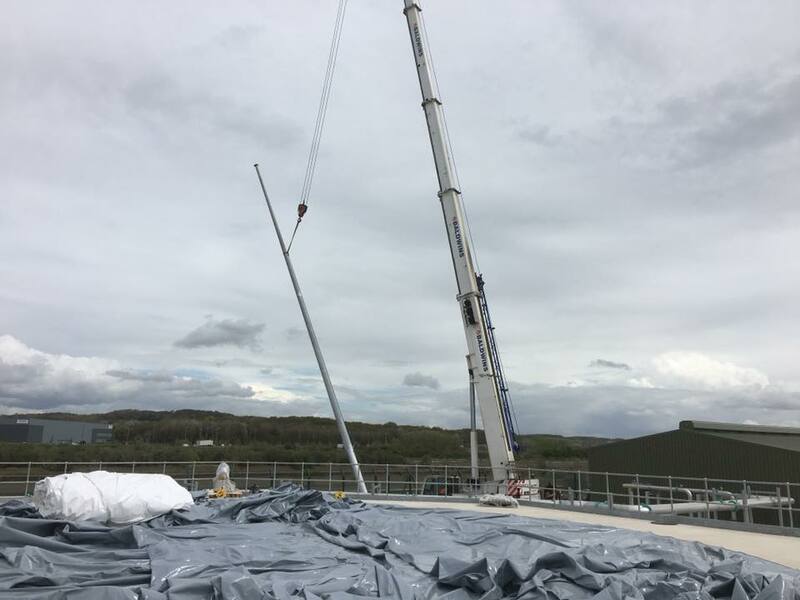 The membrane manufacturing process is currently ongoing with delivery and installation scheduled for the end of this month. 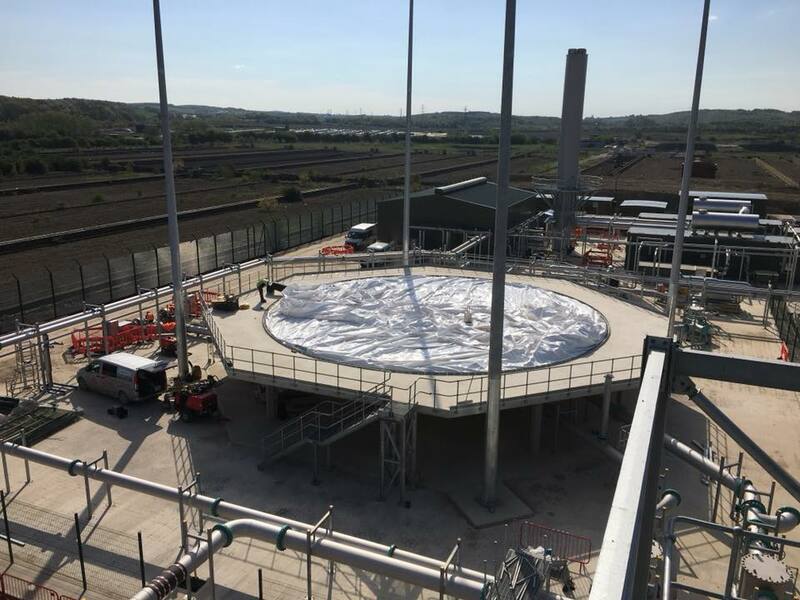 From the Yorkshire Water website, an article about one of our AJ Tensile Biogas Systems gasholders which was manufactured by sister company AJ Tensile Manufacturing Ltd. The photos were unfortunately taken before it was cleaned – the dirt accumulated because it had to be left uninflated for a short while exposed to typically British weather..! 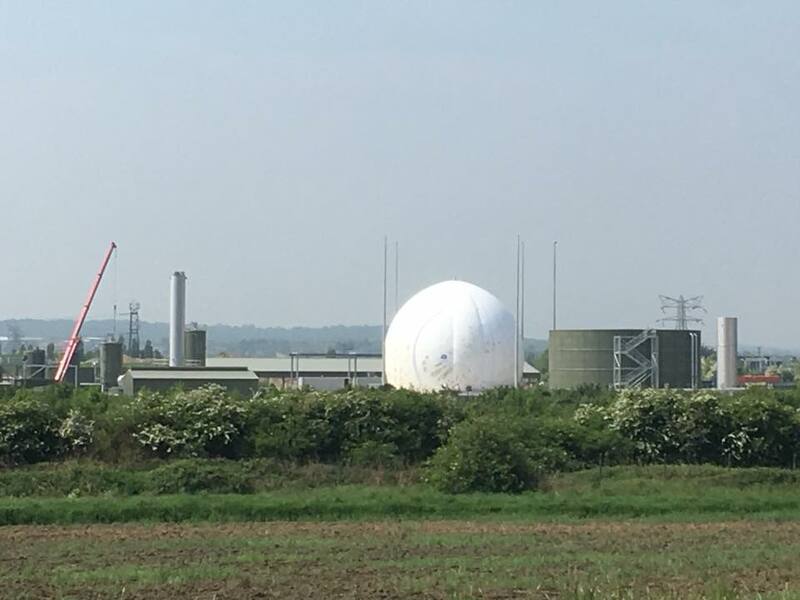 Those who drive into Leeds on the M1 or A63 may have seen a rather large golf ball looking object appear on the Yorkshire Water Knostrop treatment plant near Leeds. 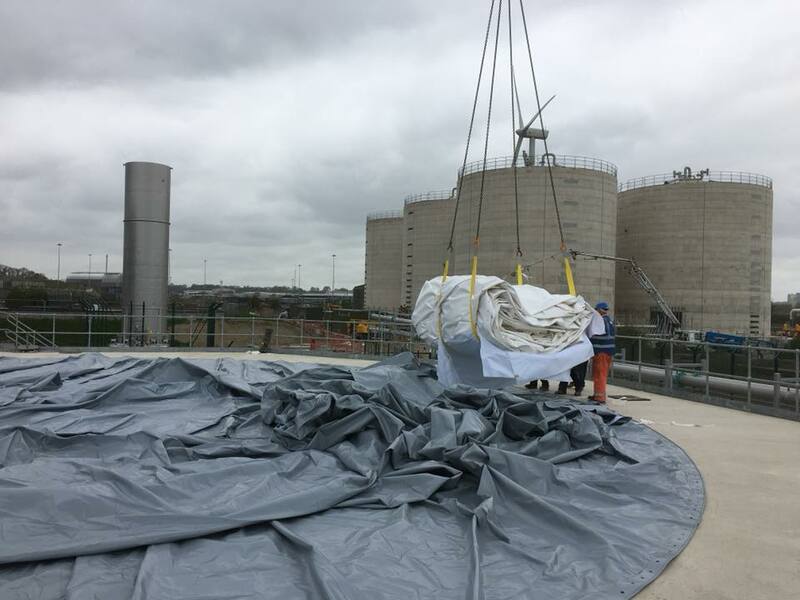 The firm is not trying to create a mini Epcot Centre in Leeds, but building a gas bag, with its construction meaning another landmark has been reached in the £72m project. Methane produced from sludge treatment will be stored in the bag with up to 3,700 cubic metres of gas stored at any one time. All of this gas will then be turned into electricity to help power the plant. 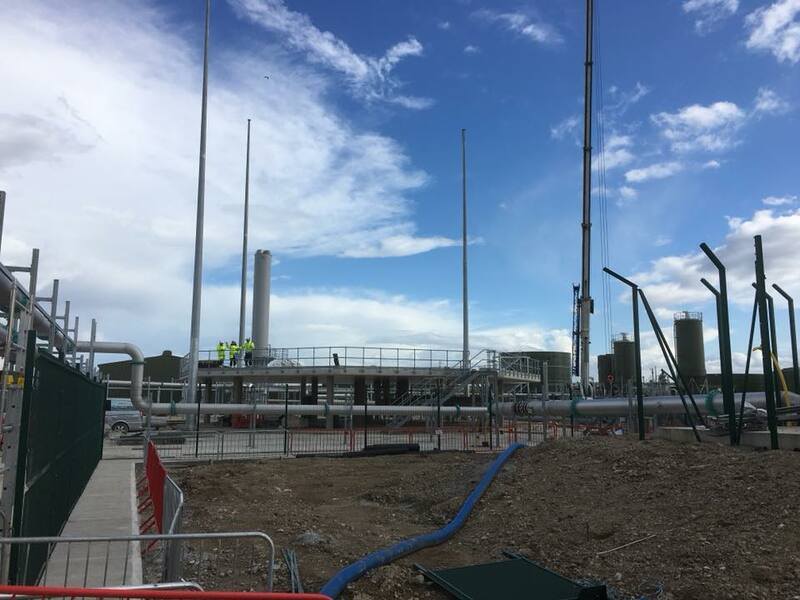 The facility will begin processing in August and once fully operational later this year, will contribute significantly to the recycling of 94% of Leeds’ sewage sludge by 2020. 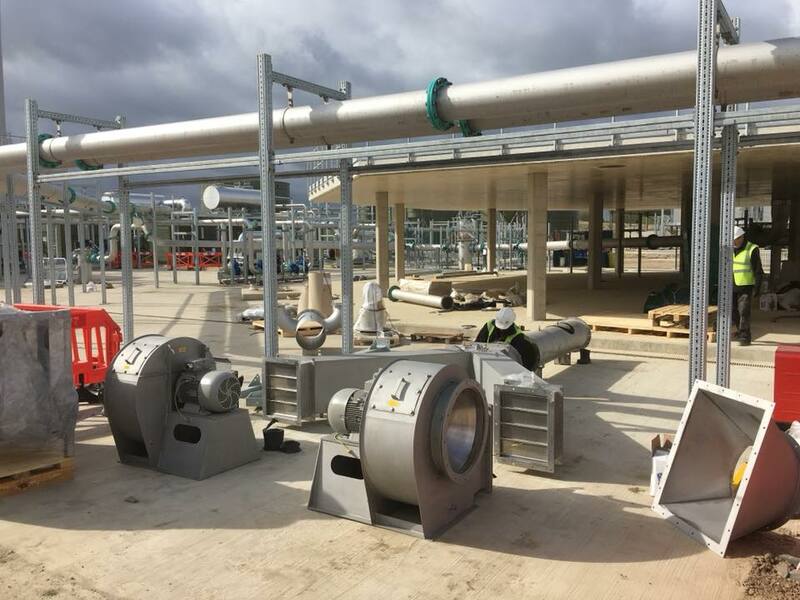 The facility will be capable of processing up to 131 tonnes of dry sludge a day and will generate enough renewable energy, using heat and power engines, to provide 55% of Knostrop’s energy needs – enough to power 8,000 homes. 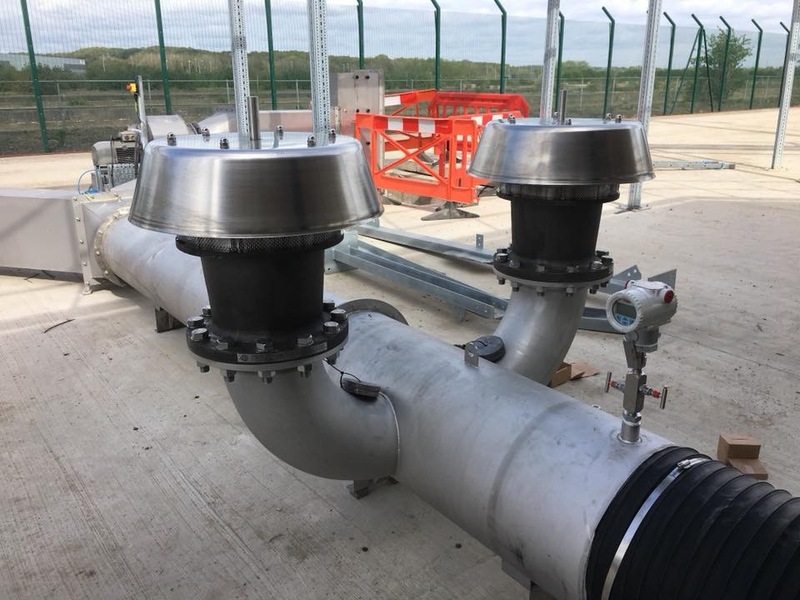 Yorkshire Water Project Manager, Lee Laherty, said: “This is the single biggest investment the company is making between 2015 and 2020. “The installation is a huge deal because we can start creating more electricity for ourselves and do more to reduce carbon emissions and help the environment. 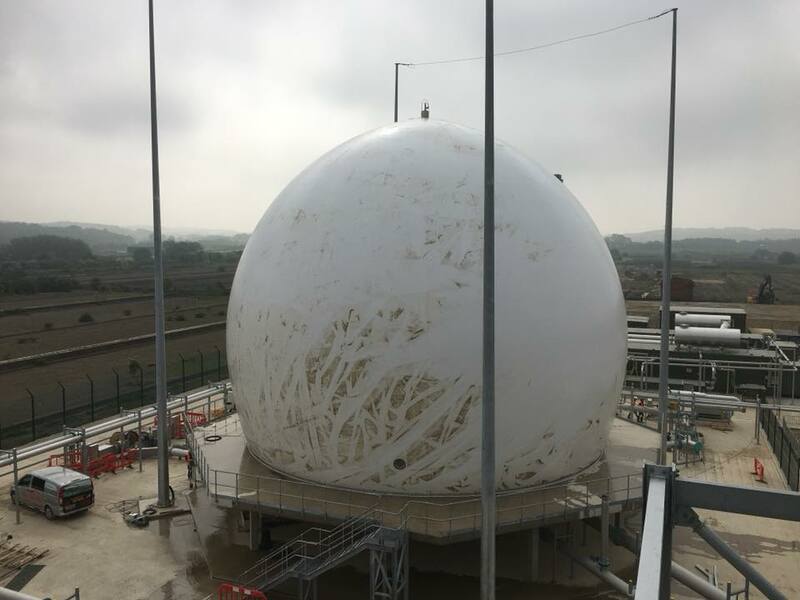 Mounted on a 3m concrete plinth, this 4,000 cubic metre BioSphere gasholder was recently installed by our installation crew at Knostrop Sludge Treatment Facility in Leeds for Yorkshire Water Services Ltd. With a base diameter of nealy 18m and a height of around 15.5m, this BioSphere is an imposing structure that requires expert installation techniques and takes around six hours to inflate once secured to the plinth. All production was performed in-house by AJ Tensile Manufacturing Ltd at our facility in Caldicot, with design, project management and installation performed by AJ Tensile Biogas Systems Ltd. Additional volumetric checks were performed on-site after inflation to confirm the accuracy of the level-checking laser by measuring discharged air using an anemometer. 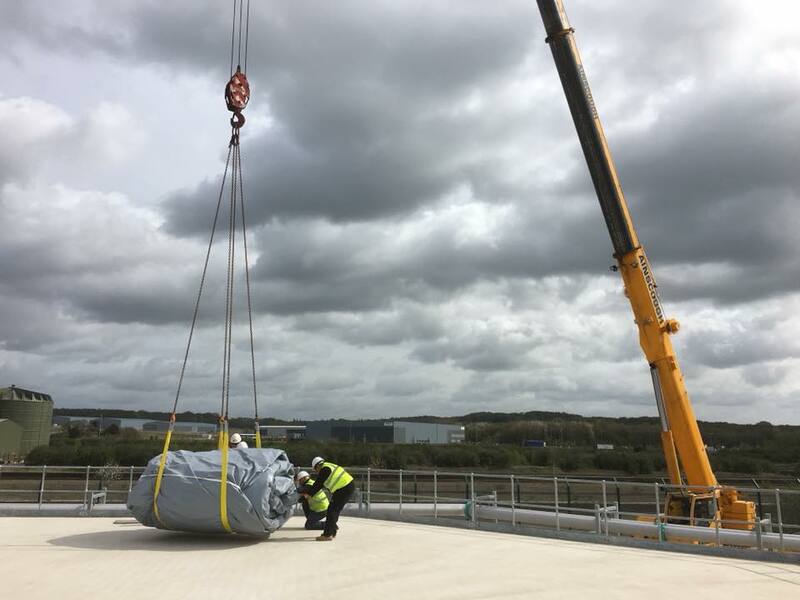 AJ Tensile Biogas Systems Ltd recently completed a 2,500 cubic metre Biosphere for export to Pontiac, Michigan in the USA. 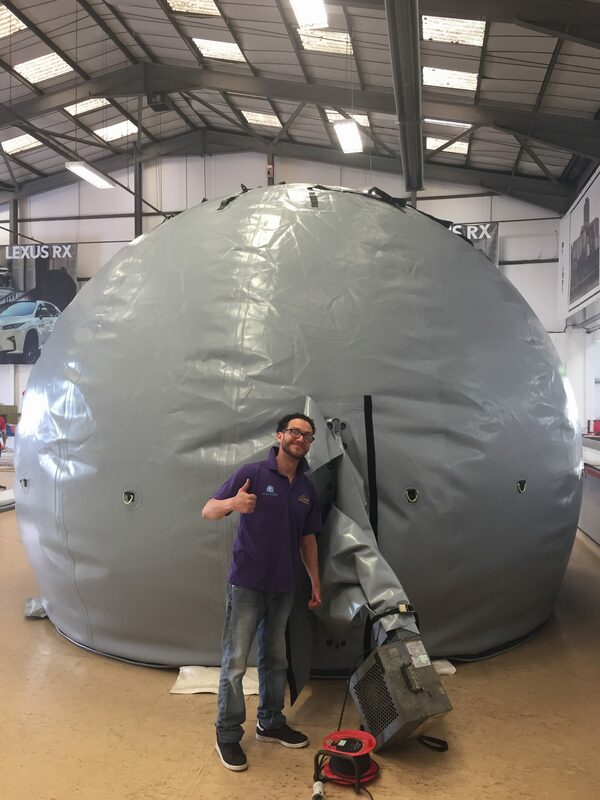 Constructed using our double-skin membrane design and with an operating pressure of 20 millibar, this tank-mounted gasholder will stand around 10.5m high when fully inflated and was fabricated in-house by our production division, AJ Tensile Manufacturing Ltd. 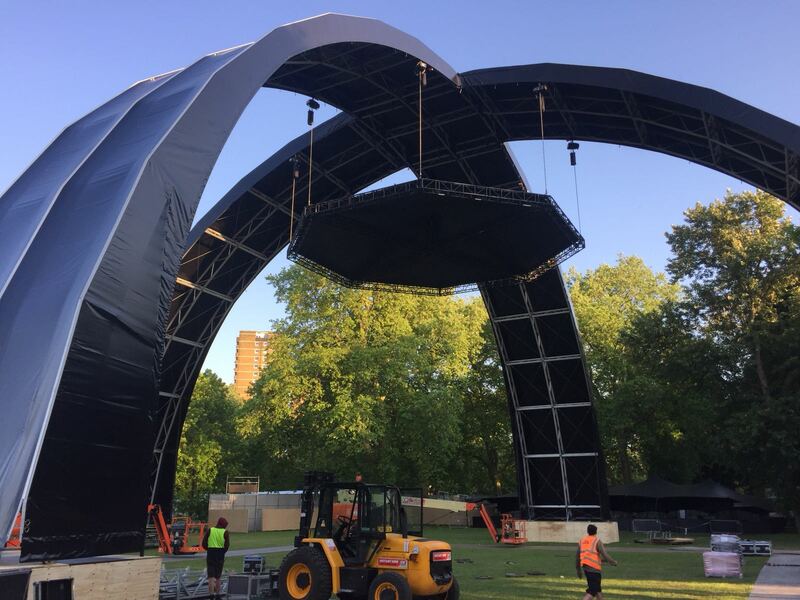 The Special Projects division of A J Tensile Manufacturing Ltd recently completed a prestigious staging installation for one of our major clients. 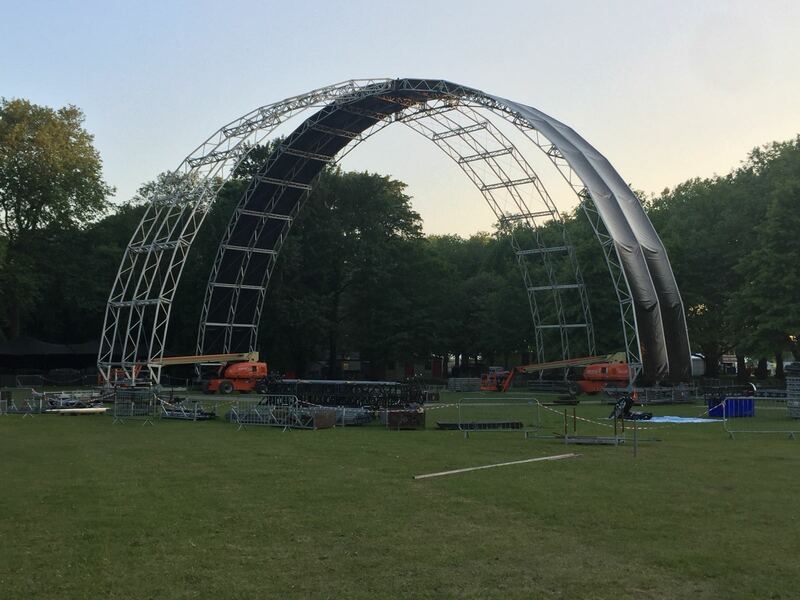 Consisting of two 60m arched trusses with an octagonal suspended roof over a raised stage, the structure was one of seven temporary staging installations for the All Points East Festival in Victoria Park, East London. 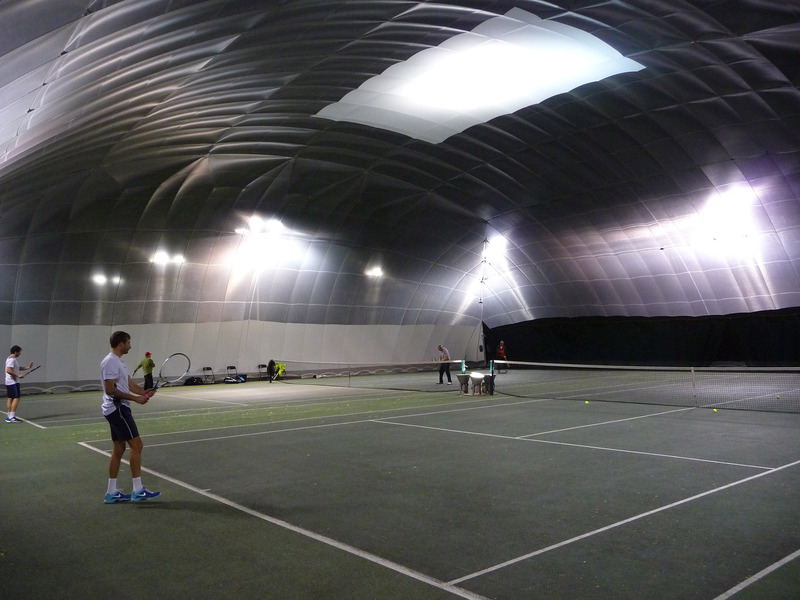 Our fabric panels provided cover and backdrop for the lighting arrays built into the arches. 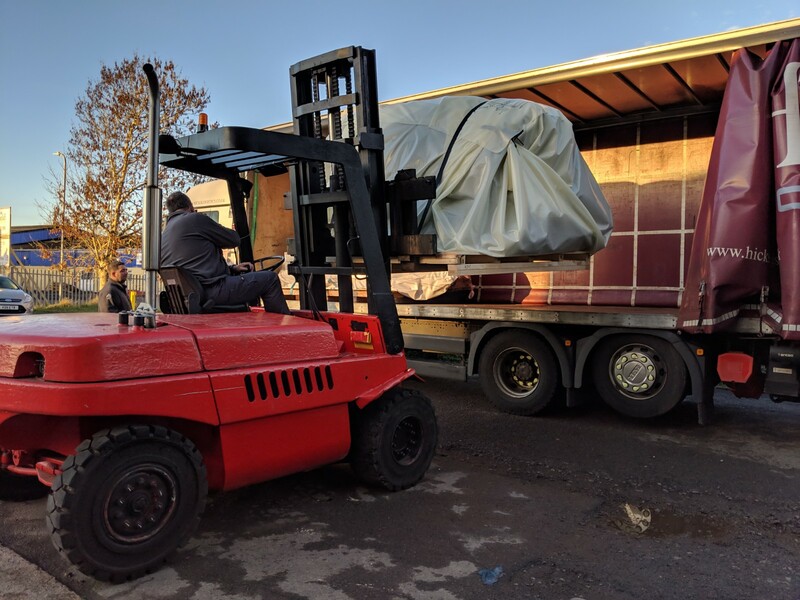 We had to work to a very tight schedule but our client was very pleased with the final result, saying “A J Tensile did it again, managing to deliver as always, despite the late information”. 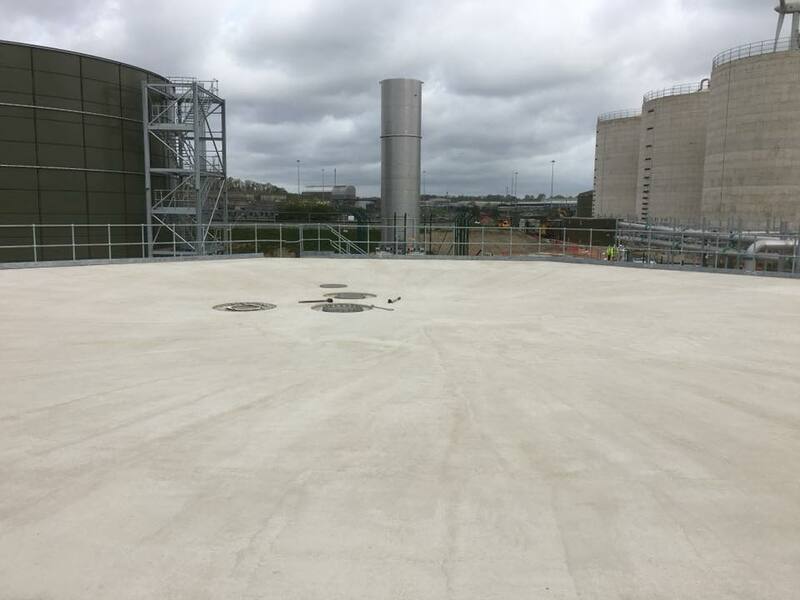 This slab-mounted 400 cubic metre BioSphere gasholder was designed and project managed by our Biogas company and fabricated by our Manufacturing division for a client in Jakarta, Indonesia. 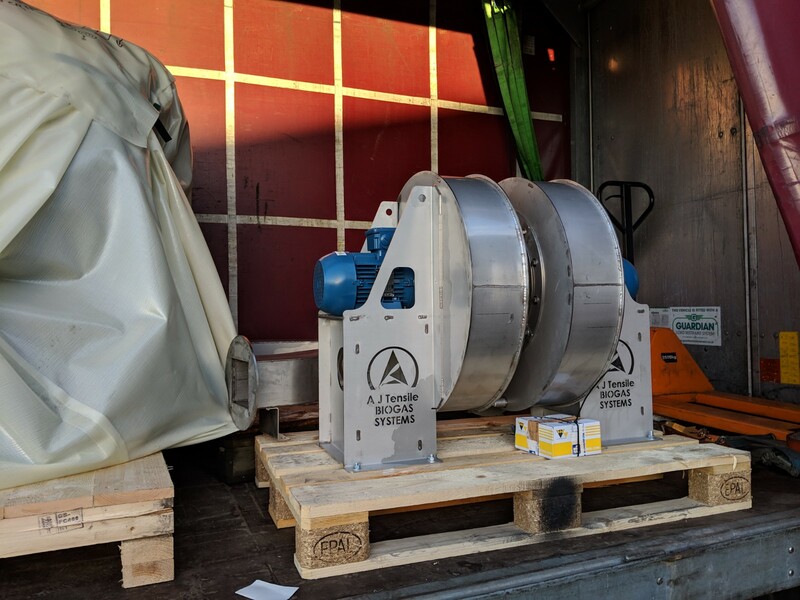 This is the first BioSphere that we have produced for the Indonesian market and it had to be manufactured to a very tight program so that five weeks of port-to-port sea delivery could be achieved. Installation will be performed by the client under the direct supervision of one of our senior installers. Our Biogas division recently completed one of the smallest gasholders we have ever produced for a client in Ontario, Canada. 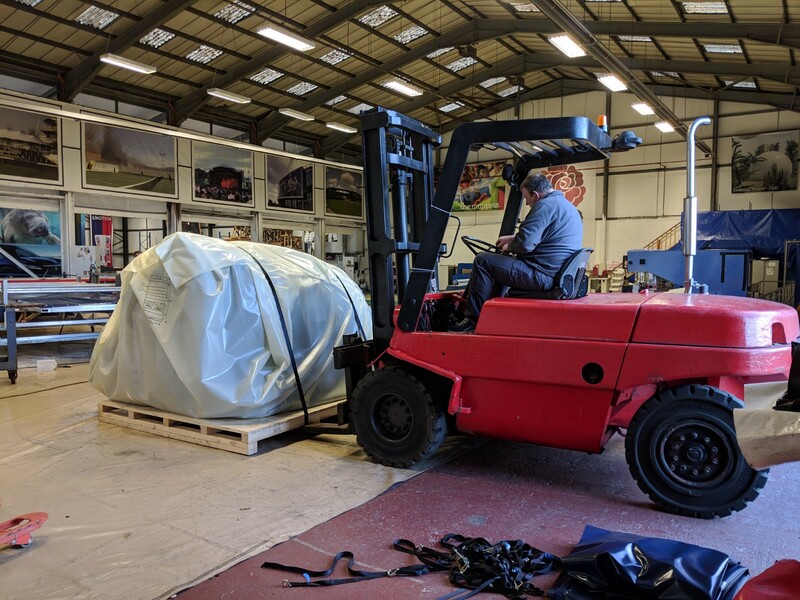 Measuring just 50 cubic metres and standing around 4m tall, the double-skinned slab-mount Biosphere was awarded to us by our North American licensee and manufactured in-house by our Manufacturing division before being carefully packed and crated for export. 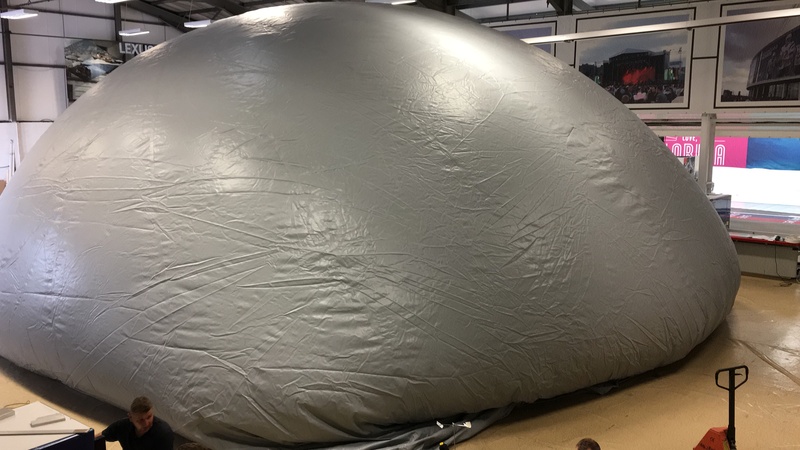 Test inflation at our production facility.